Malawian boxer Alick Mwenda will face American boxer Cameron Mclister in an eight-round international non-title bout on April 28 at M1 Centre Point in capital Lilongwe. The bout has been organised by Ngwenyama Boxing Promotion in collaboration with Malawi Professional Boxing Control Board (MPBCB). MPBCB said that there will also be ladies non-title international bout between Anisha Bashir and Tanzanian Asha Ndengele. 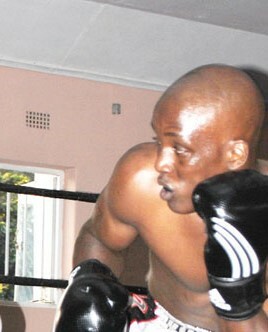 “We will also have top boxers in action as Hannock Hard Knocker Phiri will take on Bayson Fuso Fighter Gwayani. Tinkhani Kamanga will face Yobe Kanyonya while Pemphero Nkhoma will take on Yusuf Ali,” explained Ngwenyama Boxing Promotion owner Patrick Ngwenyama. Mwenda said he cannot fear his opponent because he is coming from America. “I am aware of this bout and my preparations are going on well. This is a big bout indeed, but I do not fear him because is from America,” he said. Mwenda has 22 professional bouts, 11 wins while his American opponent has five fights winning four and losing once. MPBCB general secretary Gibson Kamanga said the bout has come at a right time when people were hungry for fights. “I am sure it will be an exciting moment for boxing lovers because all the bouts involve reputable pugilists,” he said.